Different types of concrete mixing and batching plants have different prices, power and components. Usually, more and more customers begin to buy small concrete batching plant which is widely used in rural construction, bridges or roads. 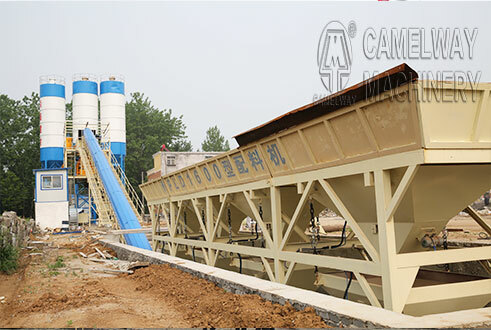 On the contrary, commercial concrete batching plant is mainly applied to commercial concrete, national water conservancy, highway or high-rise buildings. What are the advantages and disadvantages of small concrete batching plant and ready-mixed concrete batching plant? The configuration of small concrete mixing plant not needs too high, production efficiency is stable, investment capital is small and the application is wide. While, belt type concrete batching plant’s price is higher than small, production efficiency is high and the supporting equipment is complete. From the maintenance to see, small type batch plant is easier because of its small volume and less component, only need less people can make the equipment work longer and stably. Ready-mixed concrete batching plant needs more time and patience for it. Each different type of concrete mixing plant is and essential equipment for construction builders, it is of great importance to choose a suitable concrete batching plant for them according the requirements of their projects. If you are interested in our products, please leave your name, nation, and your contact way (email, or phone number, whatsapp, skype, viber, wechat). We will give you a reply as soon as possible.